That old Iron Triangle is rusty! The term has been applied to many things, including specific locations in the Korean, Vietnam and the second Iraq Wars. I first heard it when I was in Vietnam in 1970, used to describe territory northwest of Saigon, near the Parrot’s Beak and the Cambodian border. It was given that name because it was well known as an area where the Vietcong were very strong. Some years ago, the name came to be applied to the three project parameters, scope, time and cost, that comprise the well-known Triangle Model of a project. Over the years, some have tried to add other project parameters such as risk or quality. Both risk and quality are important considerations on any project. But risk is simply a modifier of the three traditional sides, a factor that can impact scope, time and/or cost. And quality is just an aspect of scope (product and/or project). It may be important to emphasize and ensure quality on a given project. Yet there seems no more reason to “separate” it from the other aspects of scope than to separate out and draw new sides into a polygon to represent all the various factors that go into cost: labor, equipment, materials, overhead, travel, etc. So the traditional Iron Triangle still works as a model of a project. Yet it needs to be updated. It used to be that we lived in a world where we could just describe Sandy Koufax as a “great” baseball pitcher or Garfield Sobers as a “great” cricket allrounder, or say that a candidate has a “great” chance of winning an election. But today that is all insufficient. What does “great” mean in numbers? In any barroom argument, someone is likely to ask: “What do the numbers say?” Was Koufax “greater” than Pedro Martinez? Sobers better than Jacques Kallis? Do the polls favor the Democrats or Republicans to win the Senate? Numerical analysis should especially be important whenever we talk about an economic enterprise, which every project clearly is. Any time we are going to have to spend money, numbers should be the essence of the discussion. How much will we have to spend? How much will we get back? How long before we generate that return? Every project is not only an investment, but one for which the answers to those questions is largely determined by the three sides of the Iron Triangle. Cost is what we have to spend on resources to perform the project. Scope is the reason we’re spending that money – its value will generate the return on our investment. 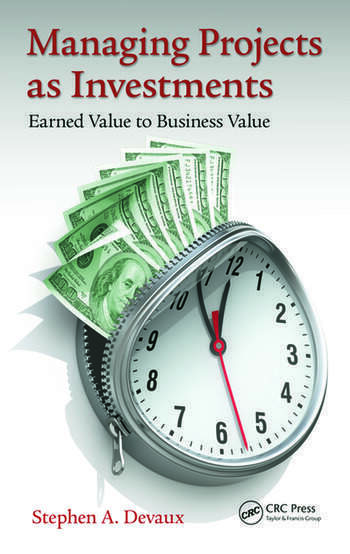 Time is the duration of the project, the length of its critical path that determines how long it will be before we start generating the return on our investment. Cost and the expected value of the scope are clearly measured in monetary units – how many dollars (or euros or yen or rupees) will we have to invest and how many will the scope be worth? That formula for expected project profit is the essence of the project investment and represents the whole reason why the sponsor or customer is willing to invest money in the project – because if the scope is completed by a specific date, it should have more value than it cost. And almost always, the sooner it’s completed, the great that value. With most investments, the investor is completely at the mercy of events over which he or she has zero control: the price of oil, the climate, the Federal Reserve Bank, the demand for housing, a change in bond rating. There are factors external to a project that also can impact its value – all investments contain a measure of risk. 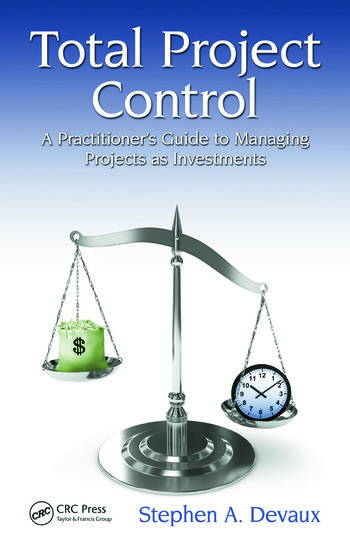 But at least there are aspects to a project investment for which due diligence and good decision-making can provide a substantial measure of control. Shouldn’t we at least quantify, in monetary terms, the parameters of all our project decisions? Because they all are right there, in the three sides of the project triangle: scope, time and cost! But let’s not regard the quantified triangle as “iron” anymore – it’s a Golden Triangle now.